Who's this @HITConfGuy who covers Health IT Conferences without a commercial angle? I ran into @HITConfGuy waiting in line at the local IHOP restaurant the other day and asked him if he was willing to do an impromptu interview over breakfast. After a little hemming and hawing he agreed. Here’s the largely unedited interview straight from my recorder. I’ve omitted the interaction with the server and the people sitting nearby. This @HITConfGuy is quite the talker. 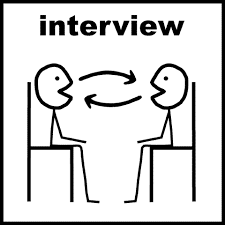 ShimCode-Q: Thanks for agreeing to this interview. Before we get going, weren’t you the guy who did the last few HIMSS Conferences as @HIMSS12, @HIMSS13 and @HIMSS14? ShimCode-Q: Well how come you aren’t doing this year’s 2015 HIMSS Conference in Chicago as @HIMSS15? HITConfGuy-A: My brother-in-law the lawyer told me not to talk about that. ShimCode-Q: Was it because you couldn’t get the @HIMSS15 Twitter account? HITConfGuy-A: Uh…My brother-in-law the lawyer told me not to talk about that. Can you pass the syrup? ShimCode-Q: Did someone at HIMSS contact you about your use of the @HIMSS15 Twitter account and threaten to sue you for everything you have? HITConfGuy-A: Haha…no. No one from HIMSS gave me any grief about using the account. And my brother-in-law the lawyer told me not to talk about that. Plus I don't have anything because I have four kids all in their 20's and I've spent all my money. And then that pesky 2001 stock market thing and the Great Recession took a toll on me. ShimCode-Q: But I can see that you’re covering the 2015 HIMSS Conference using a new twitter account called @HITConfGuy. Is that correct? HITConfGuy: Yes that’s correct. Can I use your napkin? ShimCode-Q: Why do you think you’re qualified to curate healthcare information technology topics and information? HITConfGuy-A: I’ve been working in healthcare and IT – for insurance companies, risk-bearing providers, providers, software vendors and consulting firms – since 1993. I’ve held various roles from developer to systems analyst, director-level and consulting roles. Moreover, I work as a project management consultant and I'm hands-on involved with a lot of different projects; mostly related to implementing government mandated requirements and programs related to implementing certain aspects of the ACA - which is also known as Obamacare to many. Most importantly, I'm always reading, researching, discussing, writing about and reading some more about anything I can find that’s related to healthcare IT. I have many friends and associates in the same line of work and we’re always discussing how healthcare IT impacts payers and providers. I’m a very curious person. Are you going to eat that sausage? ShimCode-Q: No. You can have it. So you think you know a little bit about a wide range of topics huh? HITConfGuy-A: I think I know a lot of bit about a wide range of topics. The challenge is that the topics keep changing and a body needs to stay on top of things. This Obamacare stuff has really turned healthcare upside down. But I’m trying hard to keep abreast by constantly reading and researching and talking with people in the business. And my day to day job gives me some special insight into the challenges and opportunities providers and health plans face on a daily basis. ShimCode-Q: I noticed that you provide a lot of detailed and useful information in your tweets and don’t just jabber on about how great everything is; plugging vendors and taking an overt commercial approach to your shares. You don’t appear to be selling anything. What’s up with that? HITConfGuy-A:.You’re correct. I am sort of an oddball in that regard. My family and friends don’t understand I’m doing this on my own time and for my own pleasure. They think someone is paying me to do this. I see so many other social media channels that are really just thinly veiled marketing pieces for a particular vendor, product or service. Some are pretty blatant. ShimCode-Q: I heard that you offered some sort of information monitoring service to the first 100 people that followed you. Can you tell me about that? HITConfGuy-A: Sure. It’s really just an experiment for me to see if I can build a methodology and system to automate the collection of customized information desired by a fairly large group of people in an efficient basis. Sort of like mass customization to a market of one. By offering this service I’ve put myself on the spot to deliver. I’ve already had second thoughts about this but I’ll stick with it and see how it comes out. I think it’ll be pretty worthwhile. I'm taking an entire week of PTO to do this so it's actually quite an investment on my part. ShimCode-Q: So you’re not getting any re-muneration or doing this for some ulterior motive? HITConfGuy-A: What's a re-muneration? Just kidding. Nope. Unless you count me learning about how to build a social media information search and retrieval system an ulterior motive. ShimCode-Q: Well cool. Can I join in that service? HITConfGuy-A: Were you one of my first 100 or so followers? HITConfGuy-A: Then no. Sorry. I gotta run. Would you do me a solid and pay for my breakfast? I gotta run. I have a real job during the day. ShimCode-Q: I will if you tell me how I can learn more about you and the 2015 HIMSS Conference in Chicago. HITConfGuy-A: You can check out my blog at www.HITConfGuy.com and you can follow me on Twitter. To learn more about the HIMSS Conference hit up their website here. Ya know something, I do have a little time and I'm feeling like some dessert. And that was it. He ordered another stack of IHOP's Blueberry Pancakes and didn't utter another word - a few grunts and groans and other sounds...but not another word.